Dr. Richard “Ernest” Reycraft was born in 1866 in Orford Township, Kent County, Ontario. He was the son of James Reycraft and the former Phillicia Shannon. 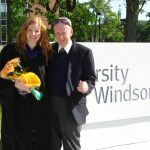 Mr. Reycraft owned a shoemaking and shoe repair business in Highgate and he owned 100 acres in Orford Twp. Mr. Reycraft and his sons cleared the land and farmed it. 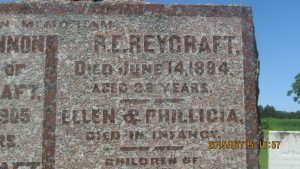 Dr. Reycraft had 9 brothers and sisters including Ellen (who died in infancy), George, Sarah, Albert, Ellen, John, Joseph, Minnie and Blanche. 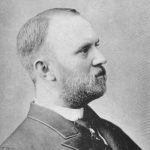 Dr. Reycraft was practicing medicine in the Highgate and Bothwell area of Kent County by 1891. 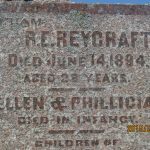 At the age of 28, Dr. Reycraft died of Typhoid Fever on the 14th of June, 1894. He was buried at the Gosnell Cemetery near Highgate. *Dr. Reycraft’s brother, Dr. Albert James Reycraft, became a Veterinarian. His brother George graduated from Detroit Medical College in May of 1895.